Losing a loved one as a result of a preventable accident or medical malpractice is heartbreaking. While nothing can make up for this devastating loss, close family members of the victim have important legal rights that must be protected. Your loved one deserves justice and your family should be compensated to the fullest extent of the law. 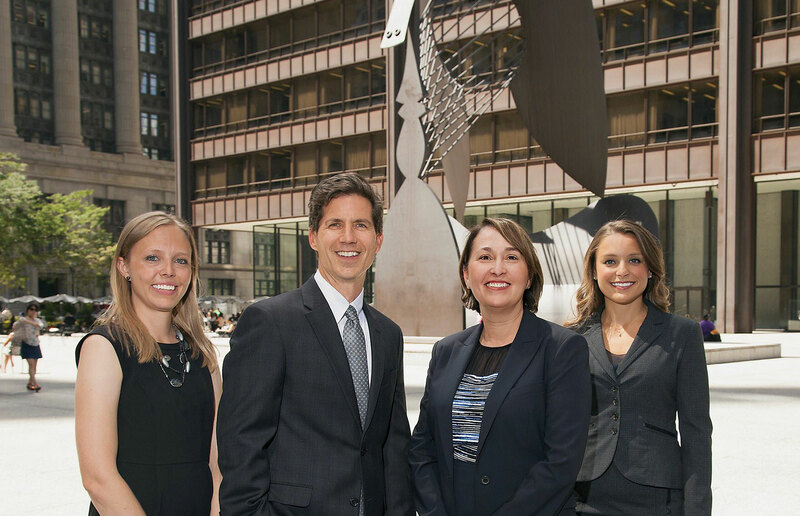 The compassionate and caring Chicago wrongful death lawyers at Mossing & Navarre, LLC are experienced and highly skilled wrongful death attorneys who will fight for you and your family. Here are some important details regarding wrongful death claims in Illinois. 1. Illinois Has a Specific Wrongful Death Statute. In Illinois, wrongful death claims are brought under the wrongful death statute (740 ILCS 180/1). Under this law, Plaintiffs may be able to recover damages if they can prove that their loved one’s death occurred as a result of negligence. 2. The Claim Should Be Brought by a “Personal Representative” of the Deceased. Under Illinois law, a wrongful death action must be brought by a “personal representative” of the deceased victim. In most cases, the personal representative will be an immediate family member such as a spouse, a parent or an adult child. 3. Plaintiffs Have Limited Time to File Their Legal Action. A wrongful death lawsuit must be filed within one or two years of the date of your loved one’s death. The time frame for filing suit will vary based upon the underlying facts of your particular case. Since time is of the essence, it is important to contact the experienced Chicago wrongful death attorneys at Mossing & Navarre, LLC so that the facts of your case can be fully evaluated. 4. Under the Wrongful Death Act, Plaintiffs May Be Compensated for Certain Damages. – Grief, Sorrow, and Mental Suffering of the Next of Kin. 5. You Should Consult with an Illinois Wrongful Death Lawyer Immediately. Wrongful Death cases can be very complex and the insurance companies will hire very talented lawyers to defend their interests. If your loved one was killed in a motor vehicle, construction accident, or trucking accident or was the victim of medical or nursing home negligence, you need skilled legal representation. The lawyers at Mossing & Navarre, LLC will be able to conduct a complete and thorough investigation of the facts of your case and we will take the necessary legal steps to protect your rights and to seek for you and your family the fullest recovery permitted by law. At Mossing & Navarre, LLC, our caring and compassionate Chicago wrongful death attorneys have extensive experience handling wrongful death matters. Our legal team is committed to obtaining justice and full financial compensation for you and your family. For immediate assistance with your case, please contact our Chicago law office today at (312) 262-6700 or contact us through our website at www.mossingnavarrelaw.com. We are here to help you and get the justice you deserve.